This lively custom tiled shower ties nicely with the Toluca Sand Quartz shower bench that matches the vanity within this bathroom. 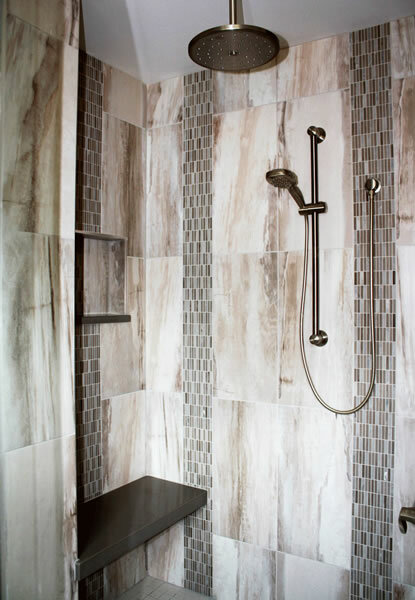 This shower has character & function, while certainly making it for a lively morning. The Petra Slate backsplash tile running down the shower makes for a unique & beautiful choice.